Being involved in an auto accident can be a tough situation for anyone to have to go through. Most individuals do not know what to do when they are involved in an accident and they may not know what to look for. 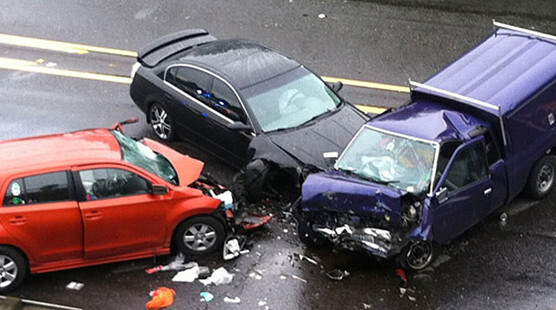 Here are a few common factors that can be very important in dealing with any auto accident. 1. Who is at Fault? This can be one of the most important factors in any accident claim as it will relate to whether or not you have a viable claim against the other driver’s insurance company. One of the biggest keys in determining who is at fault for the accident is a Traffic Crash Report. Generally, the responding law enforcement representative will gather the facts of the accident to determine which party is at fault for the accident. However, there are instances where, even if you the other party is found to be at fault, the insurance company will still try and deny the claim on the basis that their insured should not be found at fault. In these situations, a good car accident attorney can help fight for your case to make sure the other party is found at fault. 2. Was Anyone Injured in the Accident? Not all injuries are going to be the same in every accident. Some injuries may require minimal treatment, while other injuries may require months of rehabilitation to get an injured party back on their feet. The level of injury that an injured party sustains will affect how long the case takes because all of the medical costs need to be incorporated into the case. This list of factors should not be treated as a step-by-step guide to handling an auto accident case. If you or a loved one are involved in an accident, it is always best to contact a auto accident attorney to learn about the rights you have when going through this situation.